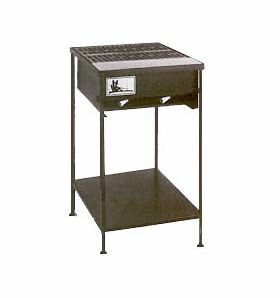 The Model A/F has the same construction design as the A-Series and is free standing with a convenient storage shelf and a stainless steel work area. Units are equipped with stainless steel cooking grates, two burners with 20,000 BTU per burner capacity, two controls, lava rock and an easy-access drip pan. 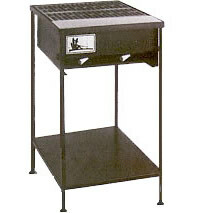 Cooking Area:	16 1/4" sq.